The data represented in the chart shows the concentration of short sales as a percentage of total sales currently in “sale pending” status. Short sales typically take longer to close and may be represented over several months. Questions about short sales in Blackhawk? Give me a call. 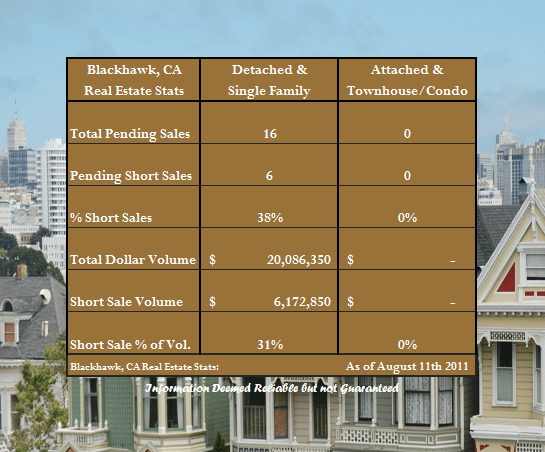 Share the post "Short Sale Concentration in Blackhawk"